Product #15940 | SKU SES-AES-EBU-2 | 0.0 (no ratings yet) Thanks for your rating! 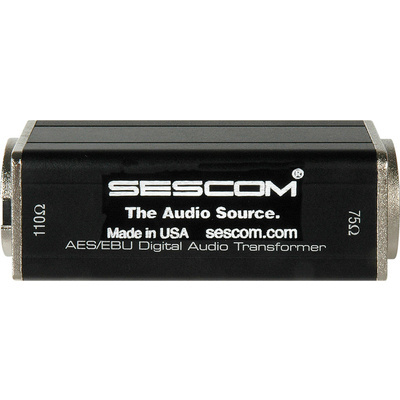 The BNC Female to XLR Male AES/EBU Impedance Transformer by Sescom is a cost-effective digital impedance transformer. It allows for longer cable runs via unbalanced coaxial lines rather than having to use twisted pair cables that have greater attenuation at relevant frequencies.